think you may have a blown head gasket or cracked heads ETC?? have you tested for a cracked head or block with the reactive dye in the coolant that shows exhaust gasses contamination? 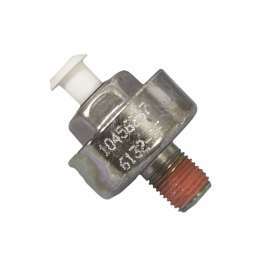 A knock sensor is generally used on turbocharged or high compression performance engines. The knock sensor is generally screwed into the engine block for all cars. To test the knock sensor, generally you can tap a wrench on it as it runs. The engine should change idle speed as the timing retards. If the idle speed doesnâ€™t change, try again at a slightly higher rpm. If the speed once again dosenâ€™t change the knock sensor probably doesnâ€™t work. High performance engines are alot more prone to detonating when they are under boost. 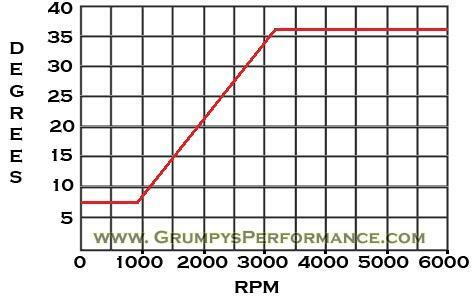 The timing on a turbocharged engine should retard when the boost comes on. If the boost would go too high the timing will be too advanced for the higher boost and will detonate. If the engine detonates it builds very high pressure waves. This can damage the engineâ€™s pistons, bearings and crankshaft. The knock sensor senses the very high frequency pressure waves ocurring inside the cylinder. If the knock sensor is tightened too tight or is too loose it can effect the measurable frequency band. The tightening torque depends on the knock sensor specification for that engine. If it is incorrectly tightened it will sense other vibrations in the engine and incorrectly believe that there is a problem. The knock sensor works by simply retarding the timing until the detonaton quits. The driver should feel the significant decrease in power as it retards. It saves the engine from detonation which will break pistons and burn up head gaskets. 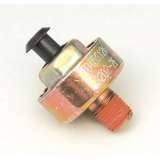 The knock sensor within your vehicle is a component designed to listen for engine detonation, or knocking. The knock sensor is a crucial part of the engine, as detonation is harmful to the engine; detonation is the result of fuel and air mixture exploding quickly instead of burning evenly. It's important that your engine knock sensor work properly to detect the detonation of the engine. The knock sensor should have continuity, which is a current electrical path between the wire and sensor. If continuity does not exist, the sensor cannot function properly; the sensor can be tested for continuity with a multimeter. Park the vehicle on a level surface. Turn the engine off and engage the emergency brake. Open the hood of the vehicle and then turn the engine back on. It's best to engage the emergency brake and open the hood with the engine off to prevent possible injury. Locate the knock sensor. The component is found on the engine manifold, mounted beneath the intake manifold in the middle of the engine. The knock sensor is connected with a wire harness coming out of the top. The location will vary slightly by manufacturer; refer to your repair manual for an exact diagram. Disconnect the wire harness from the knock sensor. Pull on the base of the harness where it meets the sensor. 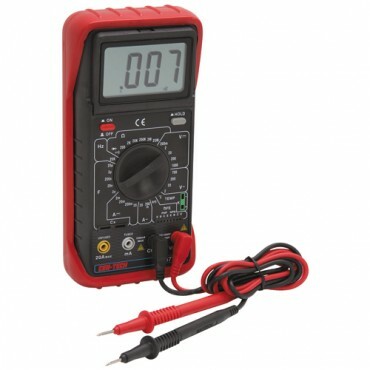 Clip the multimeter lead to the knock sensor; connect the negative multimeter lead to a ground point, such as the negative battery terminal. Continuity should exist, and the multimeter should read more than 10 ohms. If there is no continuity, the sensor should be replaced. GMP'S Sensor Test Tools help you maintain a smooth, efficient running vehicle. Each tool plugs directly into the appropriate sensors. Use voltmeter (not included) to determine whether or not a signal is being exchanged between the sensor and computer. The tool helps read the accuracy of that signal. The knock sensor system is used for the detection of detonation. its senses detonation within a limited vibration frequency, with a hertz range sensitive sensor, the problem is that factors like a excessively loose timing chain, some roller rocker bearing designs,use of a gear drive for the cam, a loose or defective manual fuel pump,improperly adjusted rocker arms, loose piston to bore clearances,(piston slap) use of solid lifter cams, improper valve train geometry, a loose or busted valve spring or spring bind,loose flex plates, torque converters, defective dampers on the crank, bad alternator or water pump bearings, etc. can all cause a knock or vibration that falls in or just outside that hertz vibration range causing the CPU to retard the timing advance curve, The computer retards spark advance based on the amount of knock received. The knock sensor produces an ac voltage according to the amount of knock. The computer receives the signal and it's programming determines how the computer will change the spark advance. Diagnostic Trouble Code 43 (OBD-I) or P0332 (OBD-II) can result from a knock sensor circuit or sensor that is faulty. When the DTC is present, the computer will automatically retard timing to protect the engine (since it can no longer sense potentially destructive detonation). Timing can be retarded 10Â° or more in some driving situations. Performance will be affected. The sensor resides on the RH side (passenger) of the engine block, in the coolant drain location. The F-body uses only one sensor. Other body platforms may use two sensors on their LT1 applications. On the 1994-1997 LT1 F-body PCM, there is a replaceable module that receives the knock signal. 1993 ECM's have the receiver circuitry built-in to the computer and have no replaceable module. You may have heard about an LT4 knock module. This module came from the 1996 LT4 Corvette, that had roller rockers as standard equipment. The LT4 module is tuned to allow for the noise the rockers make (not perceiving it as knock). If you have similar valvetrain modifications on your LT1, it may be a good idea to swap to the LT4 module to reduce the chance of "false knock" (knock not related to detonation). The LT4 module can be used on 1994-1997 engines (OBD-I and II) and no change of the knock sensor is needed (even though the sensors changed in 1996). There is no specific LT4 knock sensor. However, there are differences in the impedance of the sensors between OBD-I and II as listed in the testing section below. You must use the sensor that is matched to your OBD type (or have a wiring modification as frequently done in an OBD type swap situation). With the connector off the knock sensor, check for 5v on the harness terminal with key ON. Continue if that is good. If not good, check at pin C8 (1993), D22 (94-97) on back of computer. If voltage is ok at the back of the computer, repair the wire from the computer to the sensor. Key OFF. Connector off at the knock sensor. Measure the resistance between the KS terminal and ground. Resistance should be between 3300-4500 ohms (OBD-I) or 93k-107k ohms (OBD-II). If it is not, the sensor is faulty or the sensor is not making good contact with the block. Try another resistance reading from the sensor terminal to the outside metal of the sensor body. If all that is good, it might be a faultly knock module (in case of 94-97) or a problem with the computer, itself. Knock sensor operation can be monitored with a scanner. Rapping on the RH exhaust manifold or engine block with a hammer should cause the scanner knock value to increment. To test the knock sensor, some techs grab a hammer and tap on the block. While tapping, they look for spark retard. But most techs don’t know how smart this sensor really is. The knock sensor in this engine is tuned to 7,000Hz, the frequency range of a spark knock condition. With that narrow range of sensitivity, the computer can’t hear a noisy idler, worn cam lobes, rod bearings or a frustrated tech banging on the block with a hammer! Getting no retard out of the hammer test, many techs pull off the intake manifold and replace the $130 knock sensor. They’re shocked to find the same code 52 on their next road test. Now what? 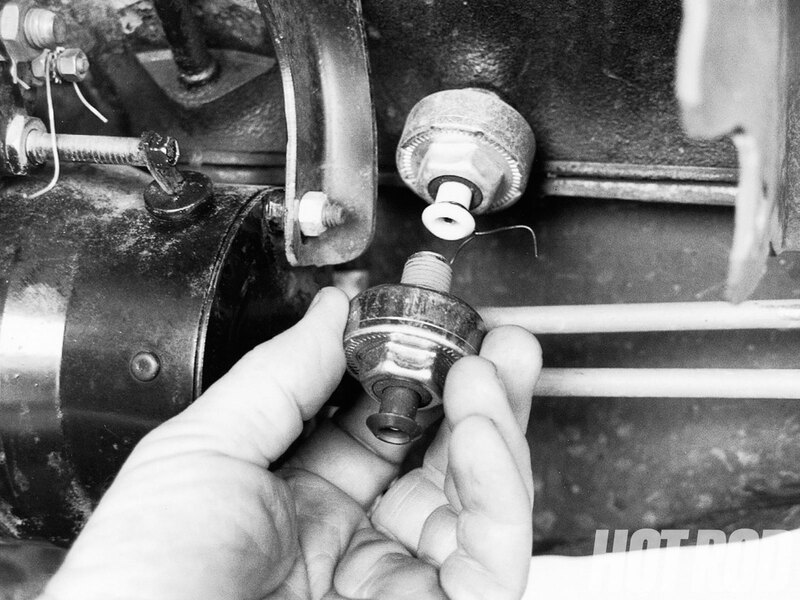 The cause of the code 52 problem is usually not the knock sensor itself, but the signal wire between the knock sensor and the external connector by the intake manifold. This wire gets brittle if it is overheated. Removing the connector during disassembly can break the signal wire inside the shield. Obviously, that prevents the signal from getting to the PCM. 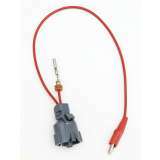 We advise techs to replace this short length of knock sensor lead wire any time the intake manifold is removed. Especially if it’s been overheated. Back in engine performance class you probably learned that there are two common types of knock sensors -- piezoelectric and piezoresistive. The piezoelectric sensor creates a voltage when it is exposed to vibration, while the piezoresistive type changes resistance during vibration. That information stills holds. However, in addition to the two types of sensors, there are two different styles of piezoelectric sensors -- mass and resonance. The mass sensor has its "ears" up to all vibrations. It produces a voltage at all vibration frequencies, creating its highest voltage at around 7,000Hz. This sensor forces the PCM to filter out the voltages above and below those generated at the 7,000Hz level. The resonance sensor is much smarter. It sends a significant voltage to the PCM only when it detects vibration in the 7,000Hz range. At all other times it is quiet as a mouse. This self-monitoring takes a load off the PCM. While Toyota uses both styles of piezoelectric sensors on its engines, the engine on the reverse side of this page uses only the resonance style. Unlike knock sensors from other manufacturers, striking near this sensor with a hammer will most likely get you nowhere, unless you are just looking to vent some frustration. About the only CONSISTENTLY RELIABLE way to test this knock sensor is to over-advance the timing, attach your digital meter (AC scale), and take the truck for a test drive. If the sensor is working, you should see AC readings that correspond to the pinging you hear. " counts had registered on my AutoXray. · Adjustment of the knock sensor parameters may be required such that the ECU can properly distinguish between an actual knock condition, and a non-knock condition. This process is described below. · Items such as mechanical (solid) cams may introduce noise frequencies into the engine that may inhibit the proper operation of the sensor. Knock sensors are a device that output a signal to the ECU. This signal contains a spectrum of many different frequencies. The purpose of a knock sensor is to output a signal in a specific frequency range when knock occurs such that the ECU can recognize a knock condition. The signal when knock occurs should have a much larger amplitude (strength) compared to when knock does not exist. This is how the ECU properly determines when knock is and is not occurring. This requires that the proper frequency be input by the user for the specific sensor and application. There are two basic types of knock sensors: a “Resonant” sensor (which has one wire) and a “Non-Resonant” sensor (which have two wires). Most newer vehicles use a Non-Resonant sensor. These sensors serve the same purpose, but function very differently. · A 1-wire resonant sensor typically is designed for an intended knock signal frequency. It is affected by the specific engine, chassis, and installation as well. · A 2-wire non-resonant sensor has a knock output frequency that is primarily driven by the bore diameter of the engine. A chart is provided below to provide the user with a calculated starting frequency. Type: Choose from either “1 wire” (Resonant) or “2 wire” (Non-Resonant) sensors. Number: Select if the engine has 0, 1, or 2 sensors present. NOTE: If you are not using any knock sensors, make sure you select 0. Frequency: This is an adjustable parameter. If this value is not the correct value for the specific sensor and application used, engine knock will NOT be detected. It is imperative that this value be entered properly. Information for setting this is below. Sensitivity: This parameter is used to adjust the scaling of the knock sensor signal. If false knock is being detected, it should be lowered. If actual engine knock is NOT being properly detected, this value can be raised. Start with a value of 50. “Knock Level” Parameter: The Knock Level parameter can be found in the data monitor and data logger. It is a key parameter when monitoring and tuning knock control. This is a value from 0-100. This value is a reading of the magnitude of the knock sensor output in the frequency range selected. If this value reaches “80” and above, the ECU will read this as a knock event and perform timing retard. Values below “80” are not seen as knock. The following table is used to input a baseline knock sensor frequency for a NON-RESONANT (2-Wire) sensor. The “Recommended” selection is the line that you want to use to determine a starting point. The “2nd Choice” would be a second selection if for some reason the recommended frequency does not offer the desired outcome. The “3rd Choice” values can also can indicate knock, but the signal is not as large as the other choices and is typically not used. To determine the frequency, find the bore diameter in inches for you engine at the bottom of the page (X axis), move up to the “Recommended” line (blue). Move to the left to the Y axis and find the corresponding frequency. For example, a 5.7L LS1 engine has a bore size of 3.90 inches. This would result in a Theoretical Knock Frequency of 6.0 kHz. This table offers an excellent starting point for a Non-Resonant sensor. However, tolerances in components and differences in each application may require adjustments. 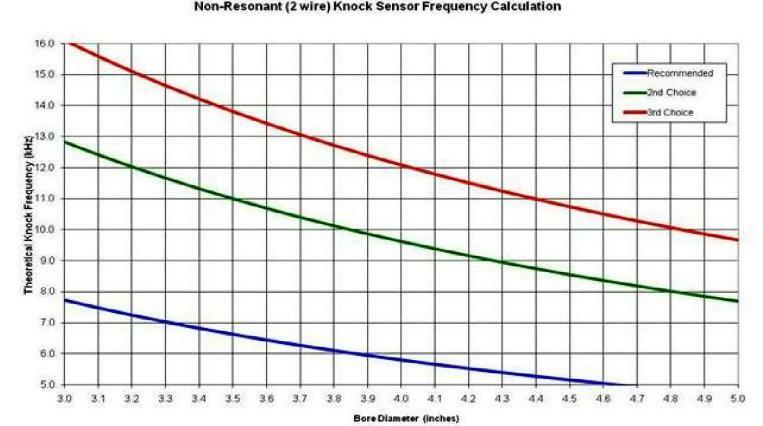 The proper frequency for a Resonant (1-wire) sensor is mostly dependent on the sensor design itself. The engine and chassis also can alter the best frequency selected. So it is required to find this information in a service manual or other source if a Resonant sensor is used. The following is the recommended process for testing and setting proper knock parameters. 1. Per the recommendations above, set the knock sensor parameters. 2. Make sure the base timing table is calibrated such that you will have no knock at any RPM and load. Set the “Max Timing Retard” in the ESC parameters to 0. 4. Review the log. You specifically want to look at the “Knock Level” parameter. It should never be over 80. If it is (and you didn’t actually have real/audible engine knock), you need to lower the “Sensitivity” value until all non-knock conditions result in a Knock Level below 80. When properly adjusted, a WOT knock level value should be around 20-50. Idle may be 0-10. 5. Once the Sensitivity is adjusted properly for non-knock levels, enter “Max Timing Retard” Values of 20 (or whatever your preference is). 6. To check for proper knock retard, the ignition timing can now be advanced to a level that induces knock. When knock occurs, the “Knock Level” should exceed a value of 80 and knock retard should occur. If knock occurs and the knock level is below 80, the Sensitivity is not adjusted properly or the Frequency is not correct. NOTE: Inducing knock can harm your engine. If you are testing the sensor response by inducing knock, be VERY careful. If your vehicle is too loud to hear audible knock, be very careful. You do not want to operate an engine under a prolonged knock period. Damage can occur immediately in some engines. 7. If the Frequency and Knock level are properly set, the knock retard will respond appropriately and remove timing until the knock is eliminated. Interesting article! This section caught my eye as something useful for everyday operations. 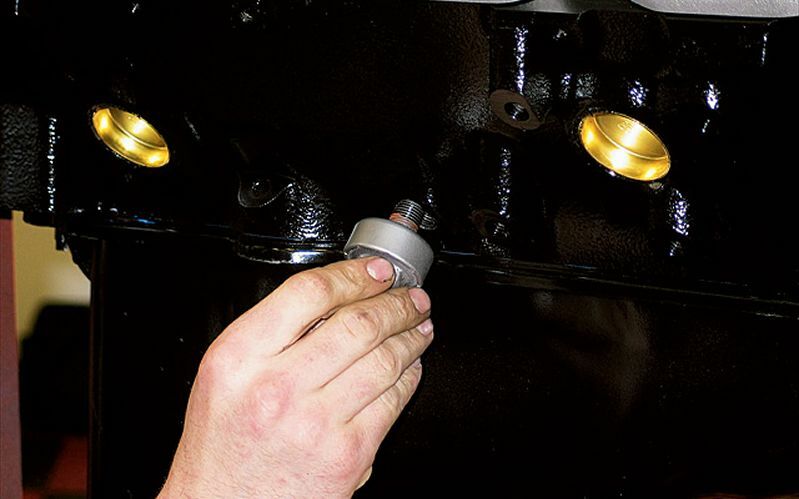 A number of environmental factors can influence an engine’s tendency to knock. For example, a hot engine will knock more easily than a cold engine. A 20° F rise in air temperature increases an engine’s octane requirement by about three octane numbers. An increase in humidity from 40 to 50 percent at 85° F reduces an engine’s octane requirement by one octane number.